I, MADMAN: A Different Kind Of Dream Killer – Schlockmania! Filmmakers who wanted to imitate Friday The 13th had an easy time of it: just get a killer with a mask and a pseudo-mystery plot with plenty of killings and you were halfway home. Going for the dream-horror vibe of the Nightmare On Elm Street series was a bigger challenge. Capturing the play between reality and the subconscious mind tripped up a lot of filmmakers who followed in Wes Craven’s wake. I, Madman is one of the few that got it right, capturing that dream/reality see-saw act effectively while adding in fresh elements that keep it from being a mere cash-in. I, Madman is a story of obsession. Used bookstore clerk Virginia (Jenny Wright) becomes obsessed with the work of Malcolm Brand (Randall William Cook), a long-deceased writer whose pulp-horror scenarios take root in her mind. When people begin dying in ways resembling the killings from the books, she warns her police detective boyfriend Richard (Clayton Rohner) and tries to figure out what’s happening. She quickly discovers Brand is not as dead as he seems and he’s got plans for her that might spell doom for everyone else. While it is unambiguously pitched at the horror crowd, I, Madman also sets itself apart from the competition through a hand-in-hand combination of ambition and style. The ambition comes from David Chaskin’s screenplay, which has great fun with the blurring of fiction and reality: for example, note how a lonely piano melody heard in a piano repair workplace near Virginia’s home makes its way into her imagined version of a scene from a story. He also weaves in gothic elements, like a Phantom Of The Opera-style touch where Brand severs the features of his victims to apply to his own face, and a set of bookends that bring in Harryhausen-style stop motion effects. Director Tibor Takacs supplies the style, handling the tricky narrative with confidence. He uses visual and auditory elements to seamlessly link the fiction and reality sequences: a great example is when a scream in a fiction scene transitions to a tea kettle’s whistle in the real storyline. He also uses produc tion design to aid this “blur” effect via visual collisions of the old and new, manipulates tone effectively and brings a pulp-inflected theatricality to the big setpieces. The finale, which blends slasher movie suspense with stop-motion monsters, is a true highlight of the latter category. Takacs also gets solid performances throughout the film. The underrated Wright is an inspired choice for the heroine, bringing a lost quality and building a convincing sense of emotional turmoil as the story progresses. Rohner does solid work as the cop boyfriend but the real scene-stealer in the supporting cast is Stephanie Hodge as Virginia’s quirky yet kindly coworker at the bookstore. 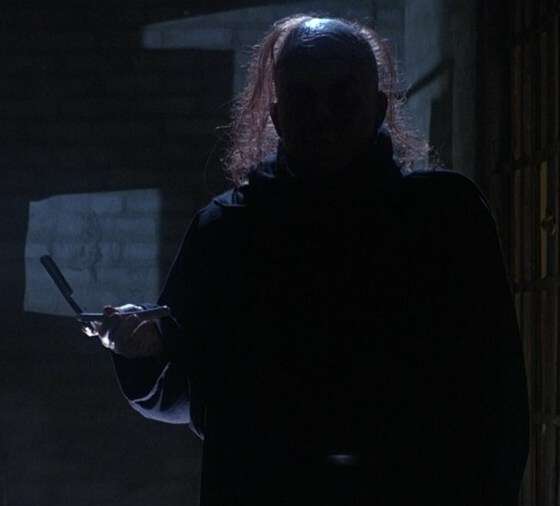 That said, the big surprise is the fine performance from Cook, who also did the impressive stop-motion FX and his own makeup, as the titular killer. It’s primarily a physical role but he gives it a nice, understated sense of menace. 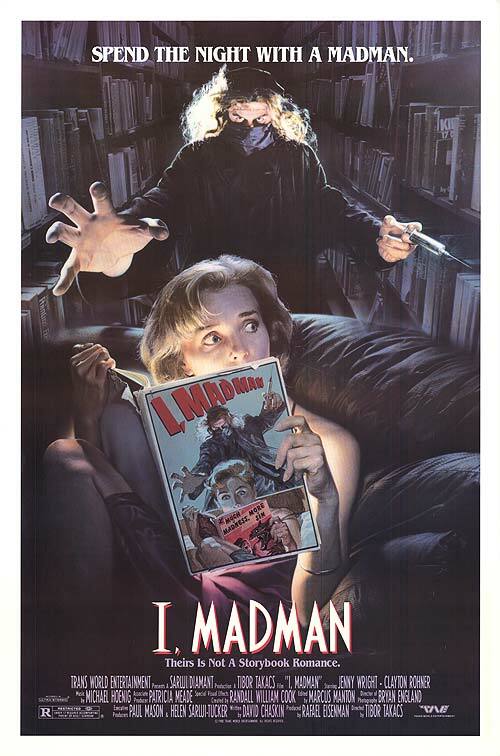 In short, I, Madman might be the best of the ’80s dream horrors to follow after Nightmare On Elm Street because it offers its own distinctively stylized take on the concept. If you want a dream horror that doesn’t come from Wes Craven, this is an option worth exploring.